I've never been a great baseball fan (and that's putting it mildly) but I always liked this game. From today's standpoint, it's fairly impressive how the programmers managed to boil down the essence of this game into a format manageable by the limited capacities of 8-bit computers. The physics of pitching and throwing are pretty convincing and the game can be great fun. 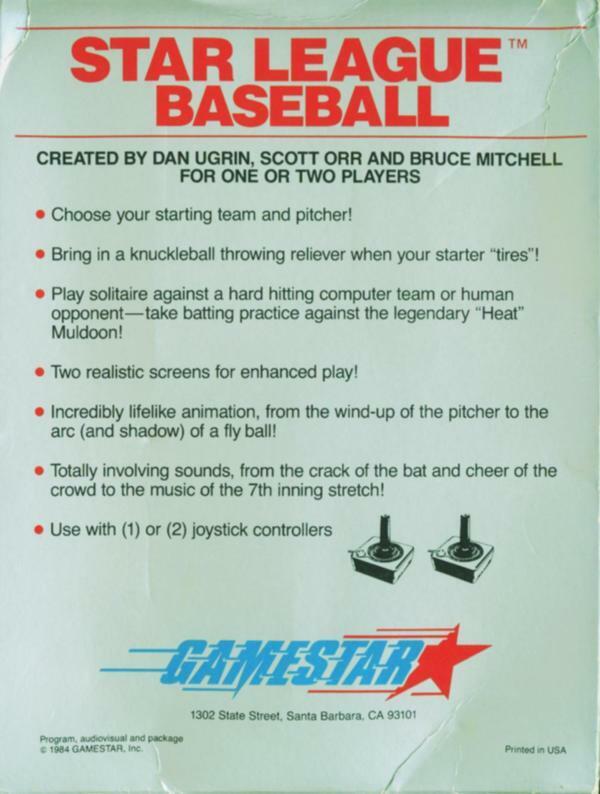 Gamestar managed to create very solid baseball and football games for that Atari 800. Star League Baseball was beaten in every way by Hardball, but there's no shame in coming in second. 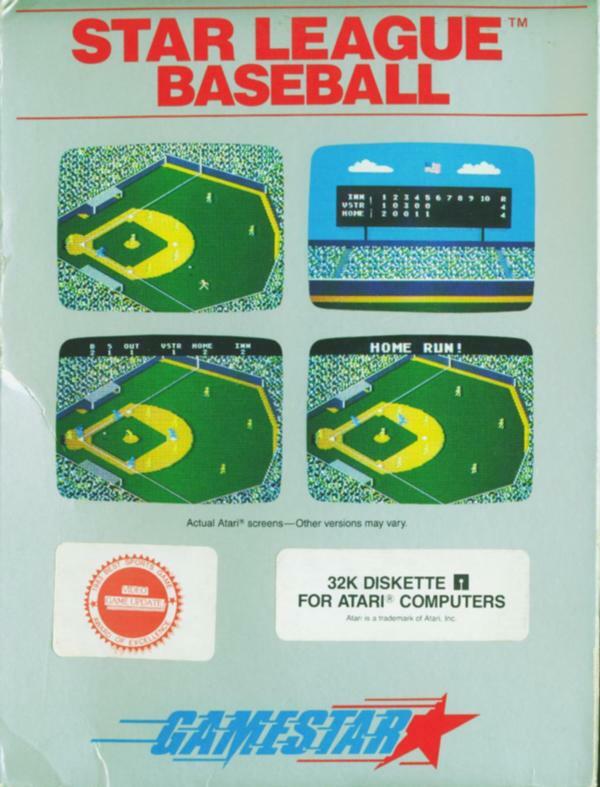 As a kid, I still had fresh memories of Home Run on the 2600. So anything was bound to be better, right? 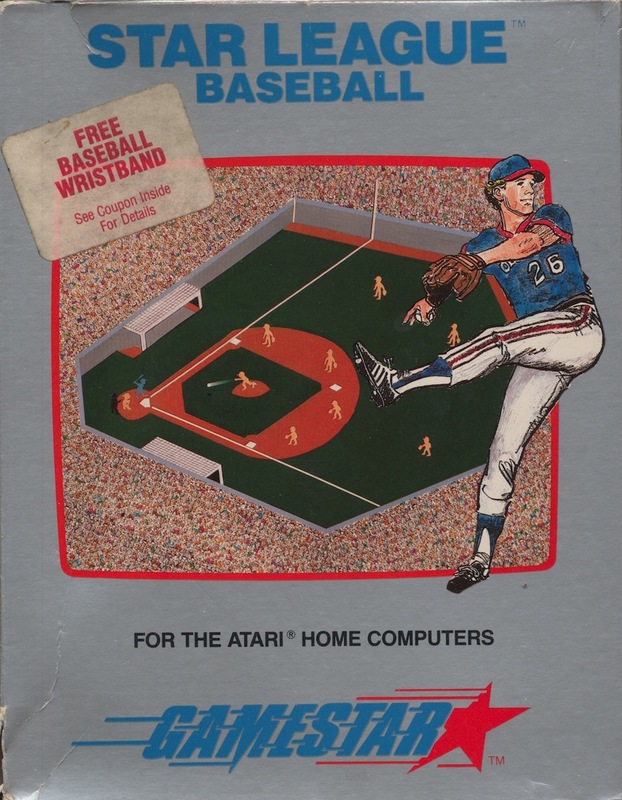 For an extra challenge, set your team options to "Curves - Liners" and the computer team options to "Heat - Sluggers" and try to win a game against the Atari. This was a long time favorite of mine, until Hardball! came along. But I still enjoy both. The gameplay is very smooth and intuitive. 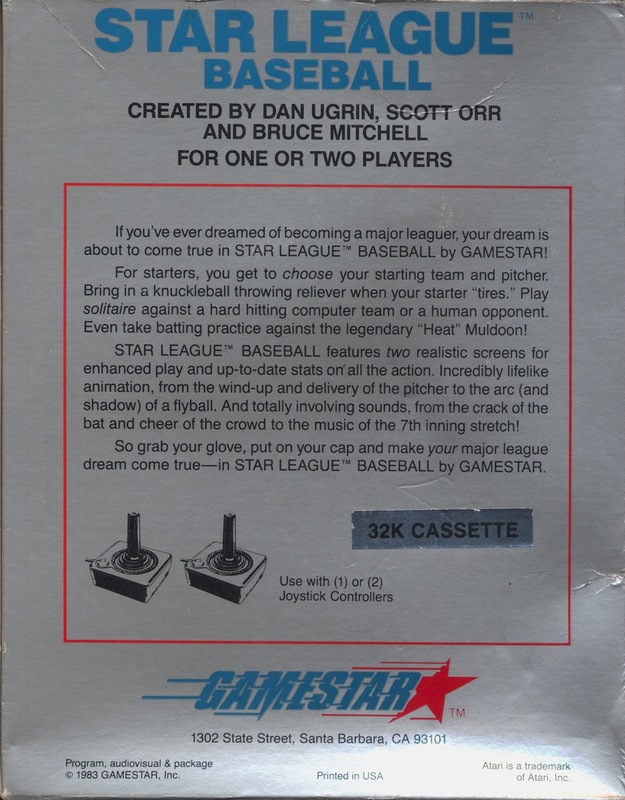 It has a little of everything from the real game: the National Anthem, organ music when players are in scoring position, and a nice drum roll when you hit a home run. I also love the scoreboard in-between innings. 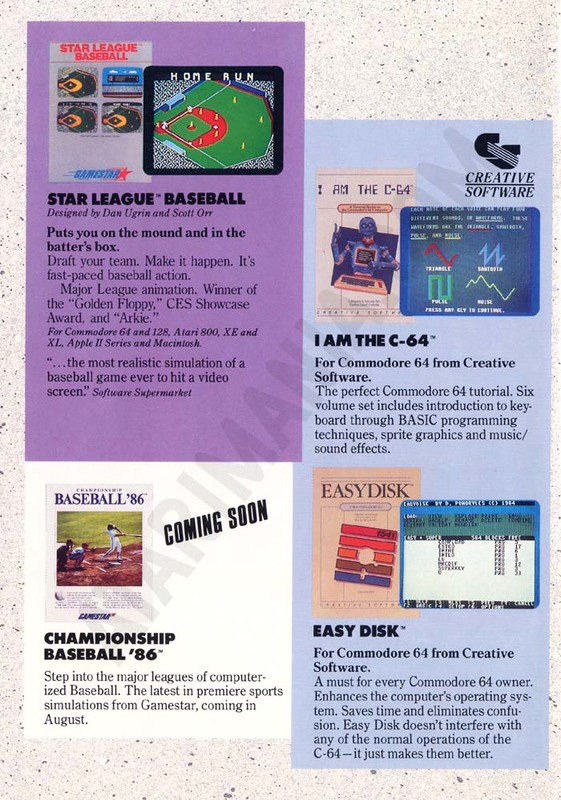 This is something I wish was in the MVP baseball series from Electronic Arts!